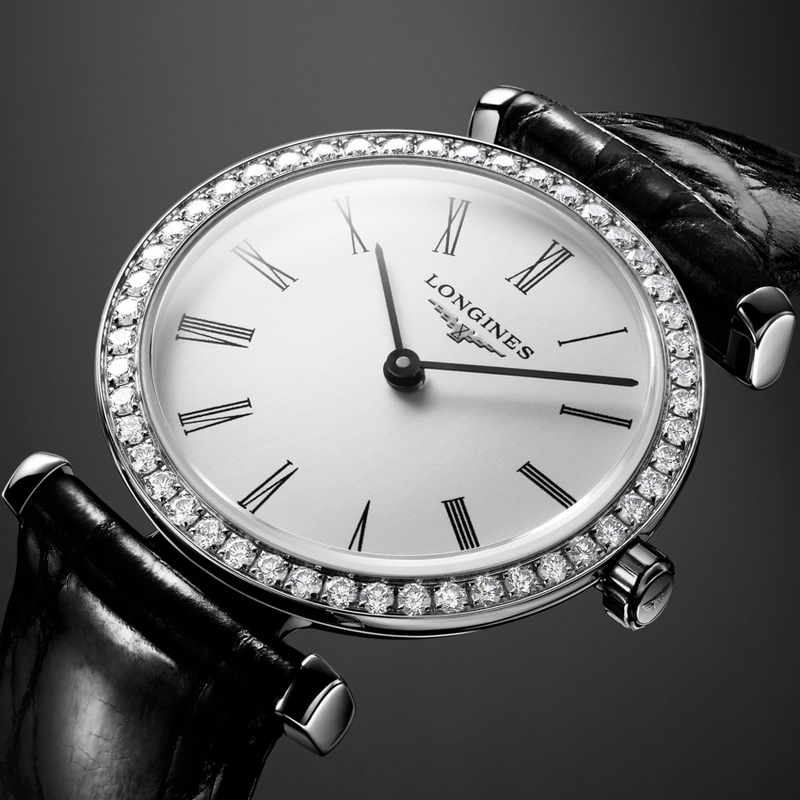 The watches in the “La Grande Classique de Longines” collection have changed little since its launch in 1992, finding continuity in the essential beauty of a design that reflects Longines' inherent elegance. 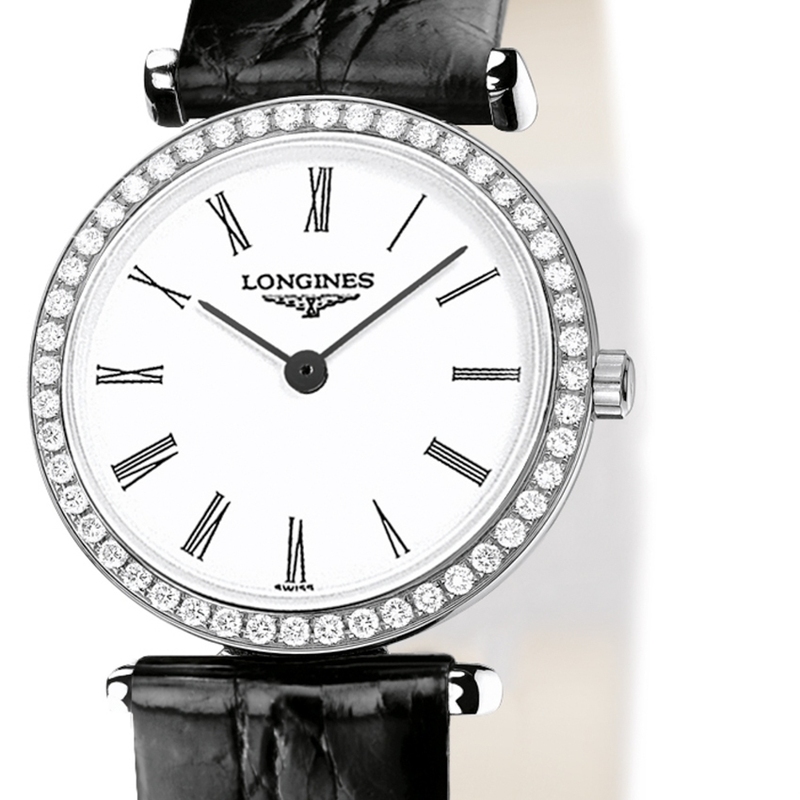 This model from the “La Grande Classique de Longines” collection is no exception. Steeped in the tradition of true classics, the slimness of the case - just 4.2 mm for a diameter of 24 mm - catches the eye. The pristine white dial is delicately enhanced with painted Roman numerals and blackened steel hands. In a final flourish, 48 diamonds circle the bezel while preserving the roundness of the case, the delicacy of the line, and the eternal elegance of this creation.